Updated March 11, 2019: SimplifyASC should pass $7MM cap-in milestone soon, full story here. 22 Aug 2018 - CyramedX filed today on a $2MM raise with $1.8MM reported in.-Ed. 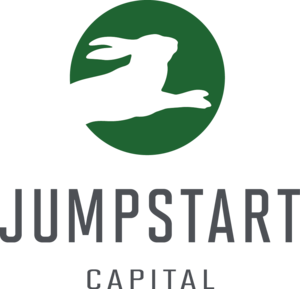 JUMPSTART Capital, the healthcare Seed and Growth investor in Nashville, has been busy adding two more healthtech companies to its portfolio. Managing Director Dave Vreeland confirmed today JSCap expects to close very soon on its investment in a Series A round of as-yet undisclosed magnitude for Brentwood-based CyramedX Holding, which will soon rebrand as SimplifyASC. Vreeland also confirmed that on July 27 JSCap closed its investment of undisclosed magnitude in a Series C raise by Chicago-based HIGI SH, which Crunchbase says has now raised more than $60MM total. More on that, later in this story. SimplifyASC, which has about about 20 entries on its capital table, 30 employees and about 130 customers nationwide, offers an electronic health record (EHR) and practice management solution for ambulatory surgery centers (ASC). Vreeland is to join the company's board of directors. Vreeland said SimplifyASC is JSCapital's 7th deal overall, and the second JSCap deal that's not in a Seed-stage company. All that's in addition to sister funds' dozens of seed deals, done in previous years. JSCapital is a Briovation unit. See our previous story here. In materials provided by Vreeland, SimplifyASC notes that while the nation's 7,000 or so ASCs generally enjoy substantial surgery cost advantages in comparison to hospitals, the majority of ASCs "still chart patient/case data on paper." SimplifyASC says the customizable functionality of its EHR corresponds with the business processes and workflows within single- or multi-specialty ASCs. The company has managed to minimize the learning curve for adopters of its Cloud-based solution, which is designed to improve the accuracy and speed of reimbursements. Vreeland said the company has focused heavily during the four years since its inception on technology and on market validation. It will exit its current beta stage and move into national market-entry mode, this autumn. VNC research suggests the company has raised $6MM or more since inception. In 2016, now 4-year-old SimplifyASC filed for a $2MM Seed raise. Those associated with that Seed filing were majority owner Joseph Byrum (Continental Gulf, et al, see here and here); current CEO David Howerton and current Chairman Samuel W. "Bo" Bartholomew III (Shearwater, PharmMD and other ventures); Thomas Clement; and, local Super Angel Crom Carmichael. Asked about SimplifyASC competitors, Vreeland acknowledged Alpharetta-based Surgical Information Systems (SIS); and, Healthcare Systems & Technologies, LLC (HST), based near Walnut Creek in the Bay Area. VNC research shows one of the co-founders of SIS in 1989 later founded HST. VNC research on the sector unearthed numerous direct or adjacent competitors, with Atlanta-based Pursuant Health (fka SoloHealth) perhaps most salient. It was founded in 2007 and has raised $47MM, according to Crunchbase. We also stumbled across Google's early and still-aging health-kiosk patent entry but reminder that some players have had their eyes on the space, quite a while. Higi says in its press materials that it is a "population health enablement company" that helps consumers measure, track and act upon their health data. It has formed a national network of more than 11,000 FDA-cleared self-screening stations at pharmacy retailers and other community locations, and it has completed more than 80 different 3rd-party integrations. Higi's offering is designed to "enable healthcare organizations to better reach targeted populations; collect biometric and other health determinant data to stratify and prioritize consumers; and motivate consumers to take specific actions at a point of care. To date, more than 50 million people have used a higi health station to conduct over 285 million biometric tests," the company says. Higi on July 10 announced that investments in its C-round then totaled $21.3MM, and it revealed two healthtech specialists -- Flair Capital Partners (Boston) and 7WireVentures (Chicago) -- among its new investors. Two days later, on July 12, Higi announced it aimed to raise up to $25.8MM and had $23.8MM of the round sold at that point. A $225K investment minimum was cited in its SEC filing. After the usual diligence, the Higi opportunity left Vreeland "thrilled," he told Venture Nashville. Vreeland said that when it came time to review the Higi opportunity with JSCap's limited partners (LPs), he told them that to that point he had been "underwhelmed by most of the population health management 'solutions' I've seen, from the standpoint of the underlying business model." 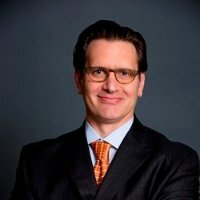 But, he said, when he examined Higi's "population health enablement" model, he and the LPs saw something "that really has the potential to get to tens or hundreds of thousands of consumers and help them with the issues that really drive healthcare costs -- healthy behaviors and preventive care." He added that that belief, plus the caliber of both the team and the other firms investing in Higi, "were a huge plus." 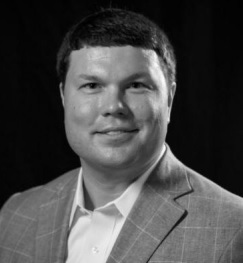 Asked about Jumpstart Capital's own outside advisors, Vreeland said many of their legal assignments go to Waller Lansden (Nathan Herzog in Chattanooga); and, its accounting is with PYA. The firm banks with Square1 (Pacific Western) and Pinnacle Bank (PNFP).